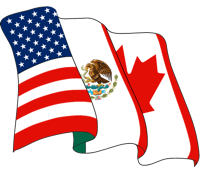 Join us for a timely update on the outlook for cross-border trade stemming from the United States-Mexico-Canada Agreement (USMCA) and how the ongoing discussions will affect business in these countries. Our speakers will share insights into the major challenges and how to prepare for future business opportunities. This program is ideal for companies involved in cross-border trade, especially in the automotive, energy and manufacturing sectors. A reception and networking will follow the program. -Courtesy of the Haynes and Boone.